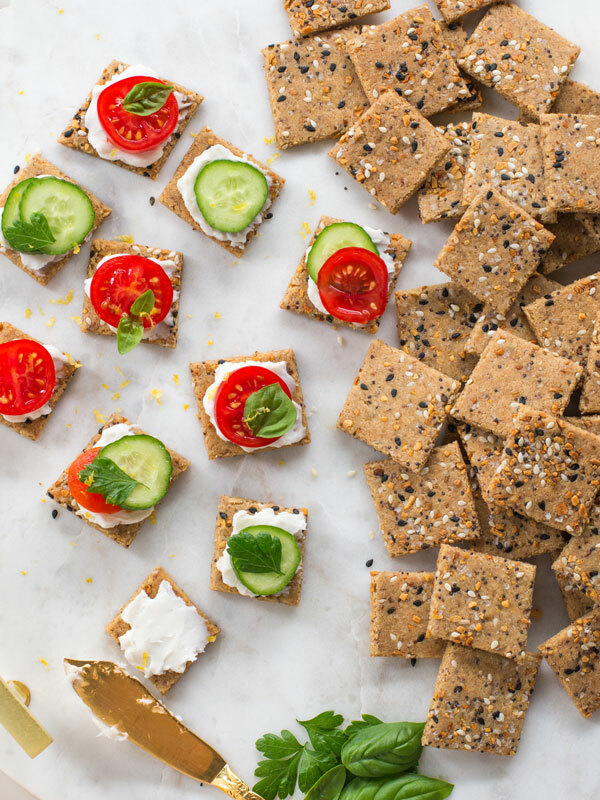 This low carb snack recipe for crackers is easy to make and perfect for the keto diet. 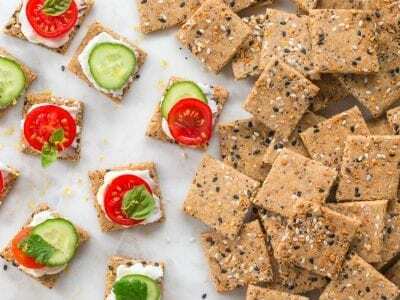 Loaded with seeds and herbs, these crackers are gluten free, vegan, and are the ultimate keto snack recipe. For the wet ingredients, allow the flax seed meal to sit in water for at least 15 minutes so it can thicken up. This is how you make a flax egg, which is the vegan substitute for eggs. Combine that with some good quality extra virgin olive oil and them mix it with the dry ingredients. If you want to try some really good extra virgin olive oil, use my promo code and get 1 bottle for only $1 from the Olive Oil Club. It’s some of the best EVOO I have ever tried! Roll out the cracker dough on a piece of parchment paper and then cover with another piece and use a rolling pin to flatten into a wide disc. Sprinkle the seeds over the top and keep rolling until the cracker dough is very thin and then use a pizza cutter to cut into cracker shapes. Bake in the oven for 45 minutes or until slightly golden brown. 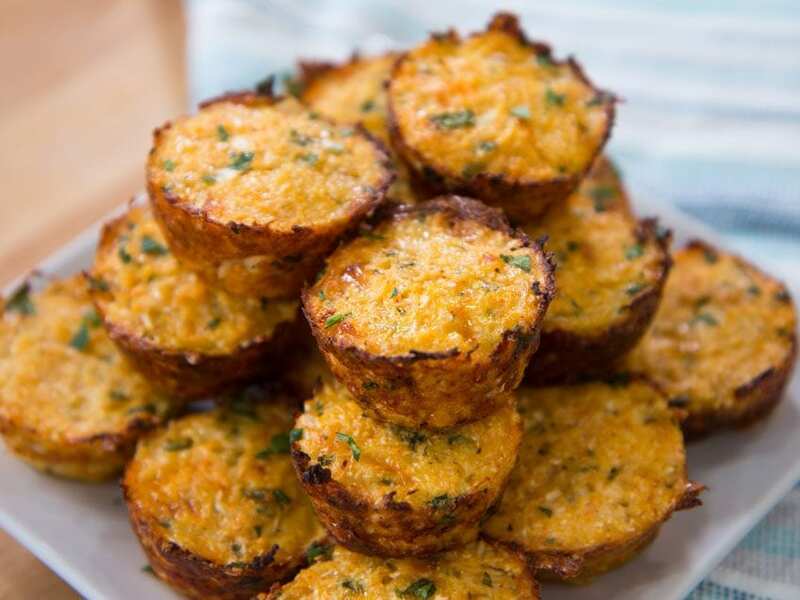 This low carb snack recipe is the perfect midday bite to hold you over to dinner. 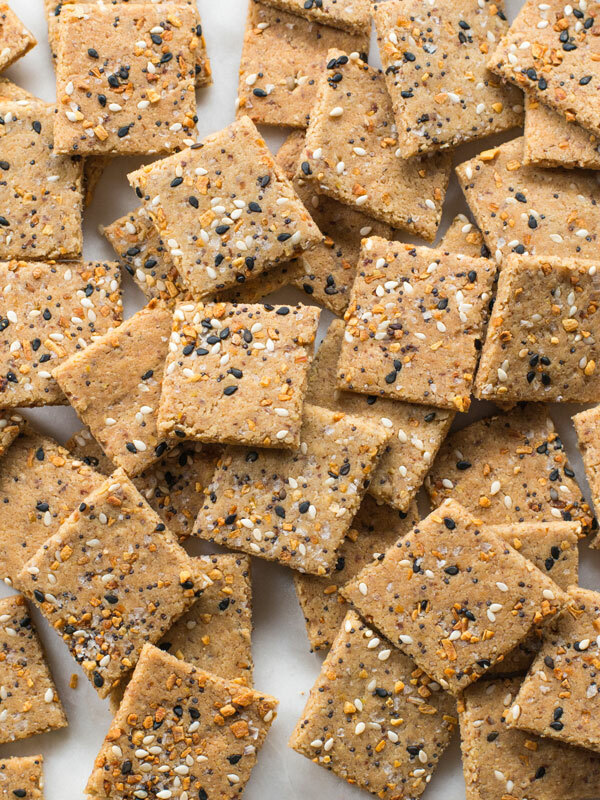 Keto crackers made with almond and sunflower seed flour and baked until crispy and golden. The crackers are gluten free and vegan. 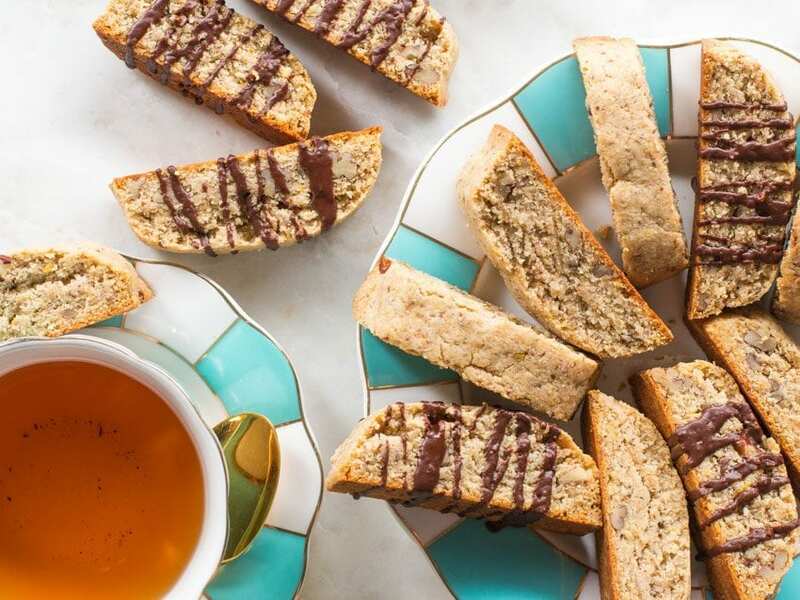 Preheat oven to 300 F and prepare the vegan flax egg by mixing the flax meal with the water in a small bowl and allowing to sit at least 15 minutes. 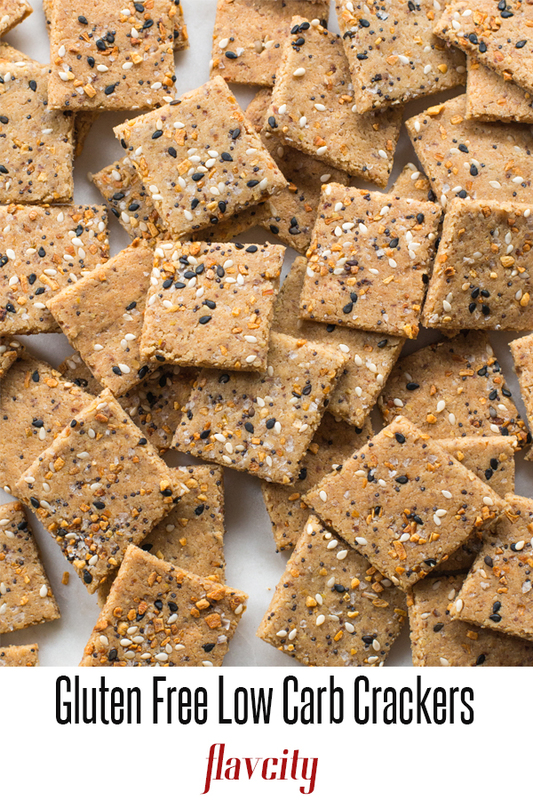 Make the sunflower seed flour by grinding ½ cup of seeds in a spice grinder or food processor until it has the texture of flour. 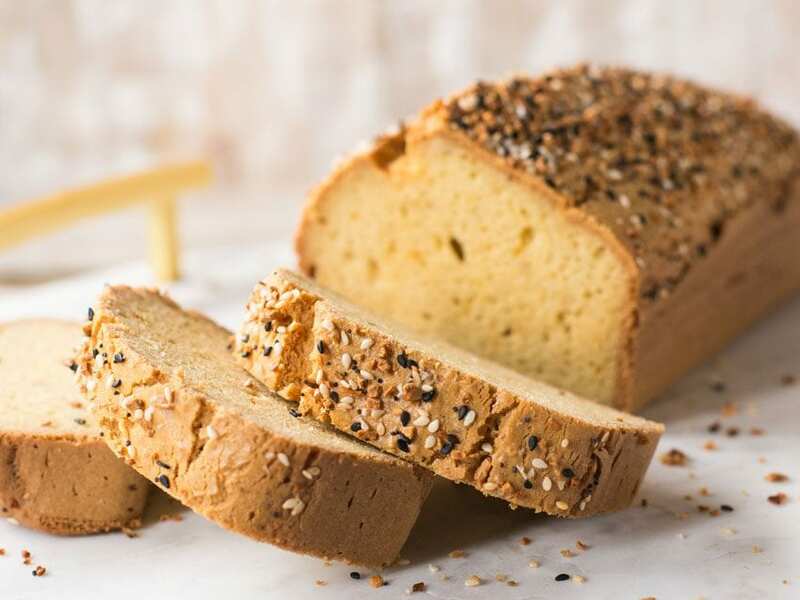 For the dry ingredients, sift the almond flour in a large bowl and add the ground sunflower seeds, ground rosemary, salt, pepper and combine well using a whisk. For the wet ingredients, add the olive oil to a small bowl along with the flax eggs, mix well and add that to the dry ingredients. Mix well until the dough comes together, this will take a few minutes. Use a pizza cutter or a knife to cut the dough into 1x1 inch cracker shapes. 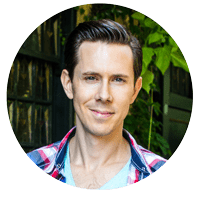 Carefully move the parchment paper with the dough to a sheet tray and bake for 45 minutes, or until the crackers are slightly golden, making sure not to burn them. Remove from oven and allow to cool for at least 15 minutes and enjoy! Store at room temperature in a zip-top bag for 5 days. If you can’t find ground rosemary, finely chop 2 teaspoons of fresh rosemary and use that. 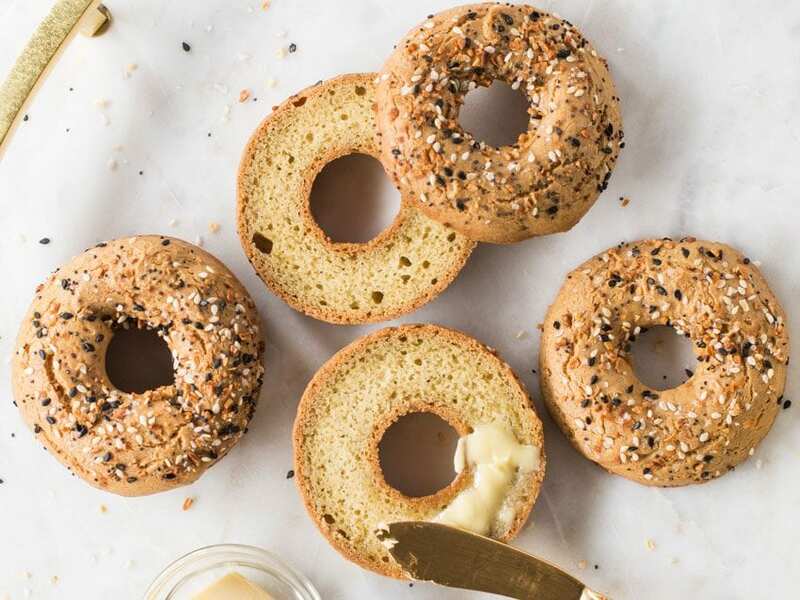 Everything bagel seasoning is made of sesame seeds, granulated onion and garlic flakes, and salt. They sell on Amazon and at Trader Joes, or you can make it. These are great! Sooo good with a little cream cheese. Where do you get almond flour? I used to find it at TJ’s but not this year. Hi Cheryl, the best price I’ve seen is at Costco. Anything under $7 per pound is better than buying it from TJ. I made them last night. My 2.5y daughter loves these craker. We finished almost all of them. Hi! Thanks for the recipe, will be trying these today. how many eggs if I were going to substitute the flax seed? Hi Patricia, 1 flax egg = 1 regular egg. Wanda, let me know how it goes!